China video site Tudou is at least breaking even after paying $US2 million to gain the rights to broadcast World Cup matches 90 minutes after their completion. 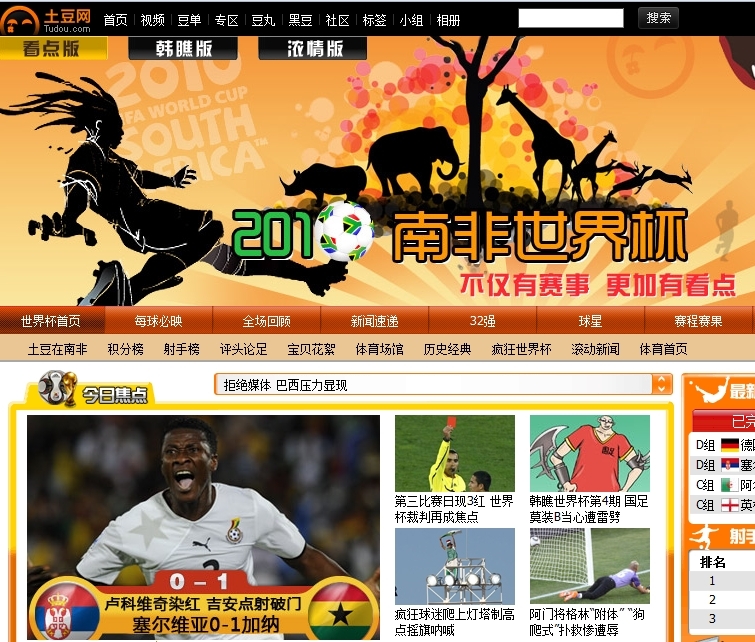 Tudou CEO Gary Wang said on their English blog even before the event started, “Believe it or not, we are breaking even on the FIFA World Cup project between the licensing fee we are paying CCTV and the advertising sponsorship we are signing.” Tudou is charging around 20-30% above normal ad pricing for ads on its World Cup pages/videos. As it is and many countries around the globe, the World Cup is of course a big deal in China, and with over 210 million unique visitors a month (or about 1/6 of China’s population if they came from China) Tudou has a strong viewership to say the least which as obviously been attractive to advertisers. Some brands that have signed up with Tudou for the tournament include Nike, Pepsi, Harbin Beer, Great Wall Motors, retailer Suning and electronics manufacturer Konka. The matches, of course are all broadcast live on CCTV (China Central Television) which is basically available to anyone with a television in China, so many viewers will be watching the games for a second time and/or looking for more extensive coverage. On the second point, Tudou has sent a film crew to South Africa to produce original content, and is also running a live talk show with a famous Chinese sports announcer with commentary as the games are played live on television. Read next: Project Natal Officially Named Kinect. Xbox 360 Slim On Its Way?